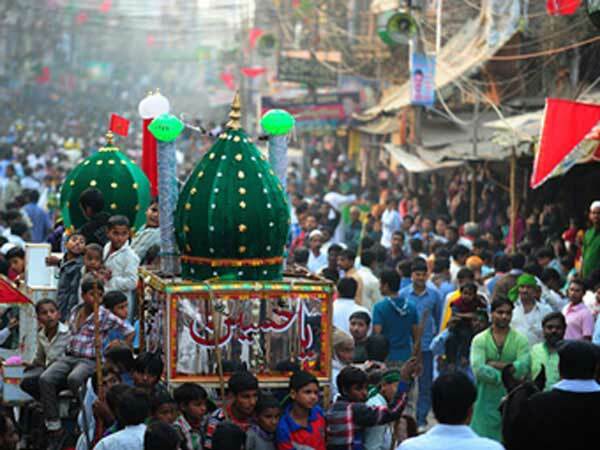 Muslim procession celebrating Muharram in Allahabad, India. Muharram for the year 2022 starts on Saturday, July 30th and ends on Sunday, August 28th. Because the Muslim calendar is a lunar calendar, the holiday begins on the sunset of the previous day on the evening of Friday, July 29th. Saturday, July 30th is the 210 day of the 2022 calendar year with 3 years, 3 months, 10 days until the start of the celebration/ observance of Muharram 2022.